I needed to play and in Chelsea I have got what I wanted - Alvaro Morata. Alvaro Morata has scored seven goals in ten Premier League appearances so far and heading back to Spain to play for the national team against Costa Rica, Morata has spoken of the decision to leave Real Madrid. When Chelsea signed Alvaro Morata for a fee of around £58m in the summer there were plenty of raised eyebrows. Firstly the fact that Real Madrid had agreed to the transfer of someone with huge talent and potential to become one of the best in the world and secondly, that the player himself agreed to the move. Everyone knows that Real Madrid has always been Morata's club. Having impressed as a kid through school he signed for Real Madrid and was given a platform to develop the exciting natural talent he has. With a few appearances in the first team at a young age, Morata was sent out on loan to Juventus having been identified by Antonio Conte as the next big thing for Juve. Unfortunately, due to Conte leaving to take over the Italian national team, both he and Morata never had the opportunity to work together at Juventus but, as we all know, Alvaro Morata really hit the ground running and his game came on leaps and bounds. Two summers ago, Chelsea were linked with a move for Morata when Antonio Conte first took over but Real Madrid decided to trigger the clause they had inserted into the contractual agreement they originally agreed with the Italian side when they signed him two years before, they had an option to re-sign him for a fee of just £29m - they did and he moved back to Madrid. So to Madrid and last season, despite playing only a bit part in the first team having to settle for a place on the bench having to watch Karim Benzema as the main striker, Morata still scored over 20 goals but decided after a season of frustration and talks with Zinedine Zidane that he needed to play regular football. “Why would I want to leave Real Madrid? I wanted to play, nothing else. I needed something that I was not going to have at Madrid – playing every Sunday regardless. Zidane said that I could stay but that there were a lot of options in attack. In the end I decided it was best to leave. It has been said that I didn’t want to battle but I fought all my life to be at Real and in the starting 11. But I needed to play and in Chelsea I have got what I wanted. I would never regret joining a club like Chelsea and hopefully I will be a long time at Chelsea. You should never have regrets in life. All the steps that I have taken in my career have served for something and I have learned from them. I won in Italy, I won at Real Madrid and I felt important. Now I have a challenge ahead of me to be champion in Spain, Italy and England. None or very few Spaniards have achieved that and that is my goal. To win the Premier League and be the Spaniard that has won in three different countries. It is a World Cup year and that only happens every four years. I'm 25 and I want to be at that World Cup." Sources: The Sun, Daily Mail. You have to hand it to him especially because of his obvious affection for Real Madrid. Cristiano Ronaldo has criticised his club's decision to sell Morata but as the player said himself, he needed to play regularly being at the age of 24 and having the exposure of leading the line as the number one striker at Juventus. Back at Juventus he looked like an all-round striker, the type I believed would suit the Chelsea teams style of play much better than Romelu Lukaku would as I posted here (check it out!). 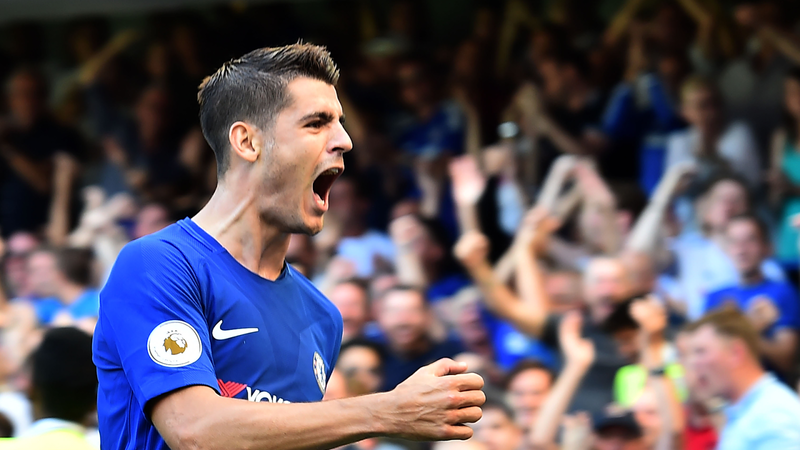 Having revealed that he had to play through the pain barrier recently, it seems as though Alvaro Morata is back to full fitness as demonstrated with the way he led the line against Manchester United last weekend. You know what excites me the most about him? It's the fact that he is only 24, this will be his first full season as the main man in the Premier League playing for a big, big club with real weight of expectation on his shoulders. He will only improve and get better with every game he plays. He has already made an impact here with all thoughts of Diego Costa forgotten about due to his commitment, his desire to succeed, his performances and his goals. 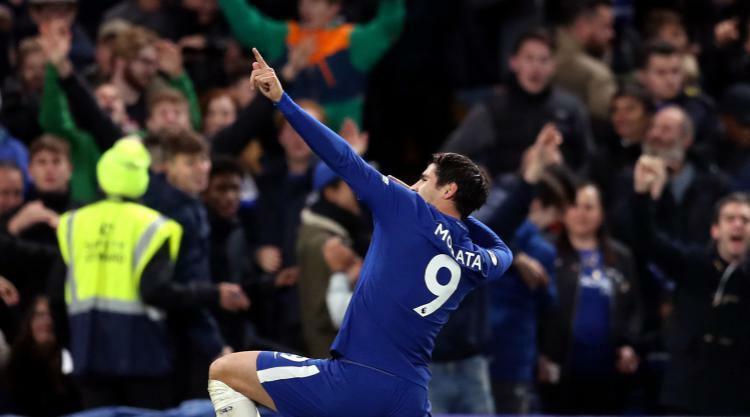 Trust me, there is plenty more to come from Alvaro Morata as Chelsea's number nine!